This shoulder bag is large and expandable depending on what you fill it with. 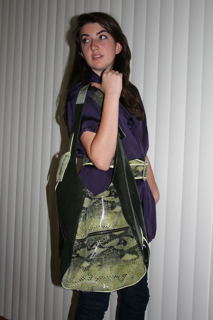 It features 2 zippered pockets on the exterior, with a full satin lining on the interior. 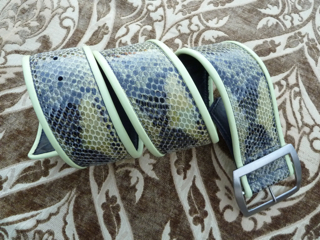 There is an antiqued bronze finish metal buckle on the strap for length adjustments. 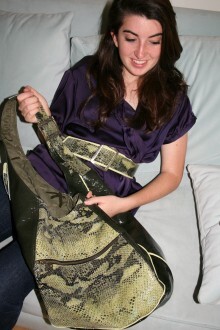 The purse can be Custom Ordered in this leather combination or in other leathers, colors and textures. The price reflects the price of the purse only. 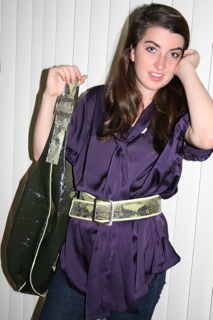 The belt is Available Now, at a reduced price in the Sale and Belt Categories.